In this post you’ll see that You can find or recapture your dream. You’ll learn the five most common reasons why folks give up on their Dream, or why you are having trouble identifying Your Dream. Dream BIG, or live small! 1. Have You Been Discouraged from Dreaming by Others? Maybe you’ve had your dreams knocked right out of you! The world is filled with dream crushers and idea killers. Take it from me – these Critics, are not GooRoos of Success. Unless you want to live their life, ignore them! 2.Are You Hindered by Past Disappointments and Hurts? Disappointment is the gap that exists between expectation and reality. All of us have encountered that gap. When something goes wrong, do you say, “I’ll never do that again!” If so, that mistake could be costing you your dream! Failure is the price you must pay to achieve success – embrace it. Tell yourself “I will persist, until I succeed!” and accept nothing less! 3. Have you Settled for Average? It’s been said that the minute you settle for less than you deserve, you get even less than you settled for. Your Dreams require You to stretch, to go beyond average. You can’t reach for a dream and remain safely mediocre at the same time. 4. Do You Lack the Confidence Needed to Pursue your Dream? Do you have the courage to show your dream to someone else? It takes confidence to talk about a dream and even more to pursue it. Sometimes confidence is all you need to pursue and accomplish your dream. 5. Do You Lack the Imagination to Dream? How do people discover their dreams? By dreaming! That may sound overly simplistic, but that’s where it starts. Imagination is the soil that brings a dream to life. Are You Ready to Put Your Dream to the Test? The Ownership Question: Is your dream really Your Dream? The Clarity Question: Do You clearly see your dream? The Reality Question: Are You depending on factors within your control to achieve your dream? 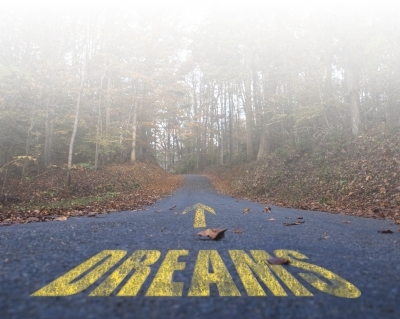 The Pathway Question: Do You have a strategy to reach your dream? The People Question: Have You included the people You need to realize Your dream? The Cost Question: Are You willing to pay the price for Your dream? The Tenacity Question: Are You moving closer to Your dream? The Fulfillment Question: Does working toward Your dream bring satisfaction? The Significance Question: Does Your dream benefit others? You Deserve The Dream YOU Desire! I believe that if you really explore each question, examine yourself honestly and answer yes to all of them, the odds of your achieving your dream are very good. I truly believe that you have the potential to imagine a worthwhile dream, and you do have the ability to achieve it. And it doesn’t matter how big or how seemingly outrageous your dream appears to others if your answers are yes to the Dream Test questions. Mental preparation. Read and study in areas of your greatest interest. Experiential preparation. Engage in activities in areas related to your interests. Visual preparation. Put up pictures of people and things that inspire you. Hero preparation. Read about and try to meet people you admire and who inspire you. Physical preparation. Get your body in optimal shape to pursue your dream. Spiritual preparation. Seek God’s help for a bigger-than-self dream. Once you do these six things to put yourself in the best possible position to receive a dream, focus on discovering your dream. As you do, keep in mind these words: “A dream is what you desire if anything and everything is possible.” Prepare for Your Dream, and it will reveal itself – to You. Next post: Who do You Think, You Are?